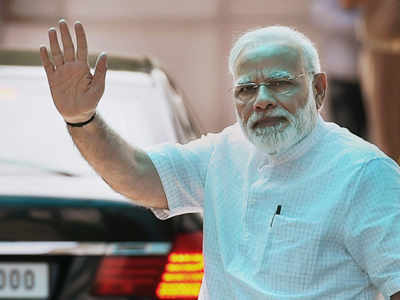 PM Narendra Modi is likely to inaugurate three newly built fuel stations on March 3 for the supply of compressed natural gas (CNG) in the state capital. Gas Authority of India Limited (GAIL) sources said the three stations at Raja Bazar, Bypass Road, and Naubatpur are almost ready to supply CNG. Sources also said around 5,000 households, commercial entities, and hospitals in the city have registered for piped natural gas (PNG) supply. The areas to be covered in the first phase of PNG supply include Jagdeo Path, Boring Road, AIIMS-Patna and BIT-Patna. According to GAIL sources, a person willing to get PNG supply for domestic and commercial purposes has to fill up a registration form and attach residential proof and a photo. “A person will have to pay Rs 5, 000 as security deposit beforehand to the authorities concerned to get PNG supply for domestic purposes. The commercial entities registering for the PNG supply will have to deposit a higher security amount. The commercial entities will be using imported gas supply whereas the households will get a supply for domestic purposes at a subsidized rate,” a senior GAIL official said. He added: “Several agents have been deputed to inform the residents about the documents needed to attach with registration forms. They are also responsible for the distribution and submission of forms.” Transport department secretary Sanjay Agarwal said on Wednesday that his department was in talks with GAIL officials for using natural gas supply for public transport. “We will try our best to get our buses run on CNG. We will first test it in a few buses before planting the CNG-kit in city buses,” Agarwal said. CNG and PNG are economically cheaper, eco-friendly and convenient compared to LPG and petroleum products. A GAIL official said CNG and PNG will be 30 to 40% cheaper than normal petroleum and LPG prices. Bihar State Road Transport Corporation (BSRTC) has provided 1.5-acre land to GAIL at Phulwarisharif to set up a control room. PNG and CNG supply in Patna is part of the Jagdishpur-Haldia-Bokaro-Dhamra pipeline under the Pradhan Mantri Urja Ganga Yojana, which will connect the eastern and northeastern states to the national gas grid. GAIL sources said people who want to get CNG-aided kit planted in their vehicles will have to pay around Rs50,000. “Around 300 to 400 CNG aided autorickshaws will be distributed by the automobile companies on an inaugural day,” a GAIL official said.